I always liked the sound the pistols in Mass Effect made. Plonk. Plonk. Plonk. And oh, how the robots and mercenaries would fall. 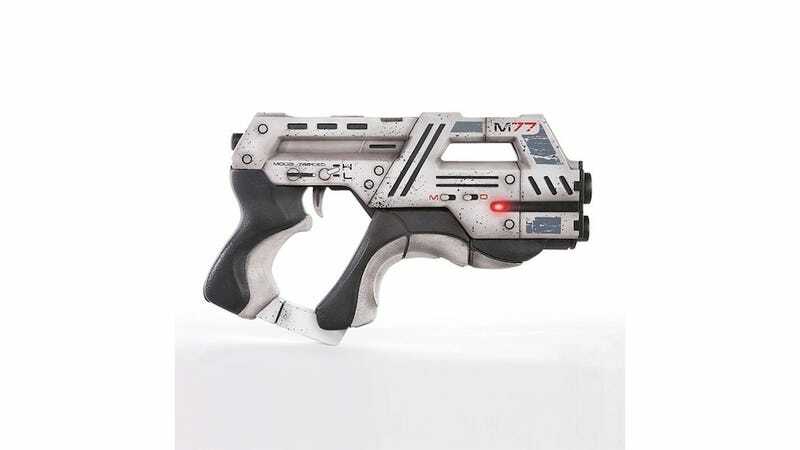 BioWare has put this pretty nifty replica of an M-77 Paladin pistol up for sale on their site. For $400, you can get one; $200 now, $200 when they're ready to ship. They say they're only making 200 of them, so you'll have to reserve yours quickly. The replicas are hand-finished and hand-painted by the people at TriForce, who also made the replica Mass Effect assault rifle we featured a couple years ago. I've liked the many Mass Effect weapon replicas that people have made over the years, but the official ones are pretty cool, too.